A success record of virtually 100% in obtaining planning permission for our clients certainly instils confidence but it’s not the only reason Ecclesall Design should be your first choice for architectural design services. We offer creative and professional architectural drawings for a wide portfolio of services including designs for house extensions, loft conversions, basement conversions, garage conversions, new build houses and commercial property. We also provide specification details and technical drawings for building regulations, either following on from the architectural design and planning service for existing clients or as a stand-alone arrangement. Our project management service is used by commercial businesses to take care of – or kick-start – a construction project, as well as by residential clients wanting to ensure that their finished new build house or house extension will be completed to the expected standard. We’re here at every step of the process to take the stress away and to ensure a smooth pathway until your project reaches its successful completion. 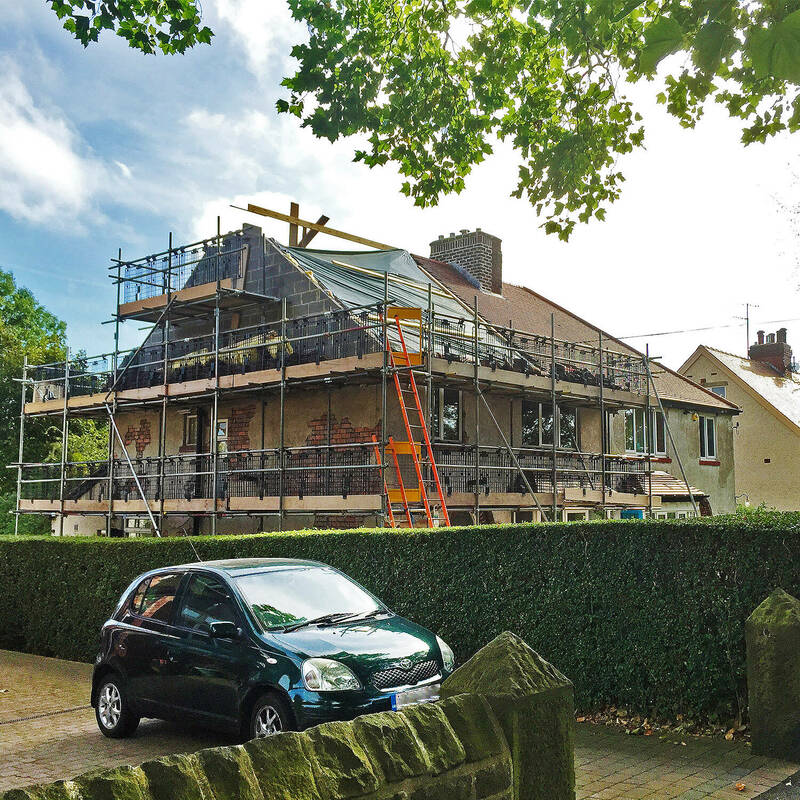 The creative team at Ecclesall Design specialises in house extensions and we have provided home owners with drawings for literally hundreds of house extensions, loft conversions, garage conversions and basements conversions over the years. Some have needed planning permission; others are permitted development. We are able to provide professional advice once we know the scale and appearance of the desired extension or project. We work closely together with our clients to draw up the design brief. Once this is established we carry out a careful survey of the entire property and then create a range of inspirational options to present during a dedicated meeting in your home along with examples to illustrate the key architectural design features and concepts. Amendments to the drawings following the presentation meeting are made with no additional charge – we want our clients to be happy with what they choose. We usually work within the local Sheffield region including Dronfield, Rotherham and Chesterfield and do on occasions travel further afield. If you’re thinking of a house extension or perhaps a garage conversion, basement conversion or attic conversion please give us a ring; we’d love to hear from you. 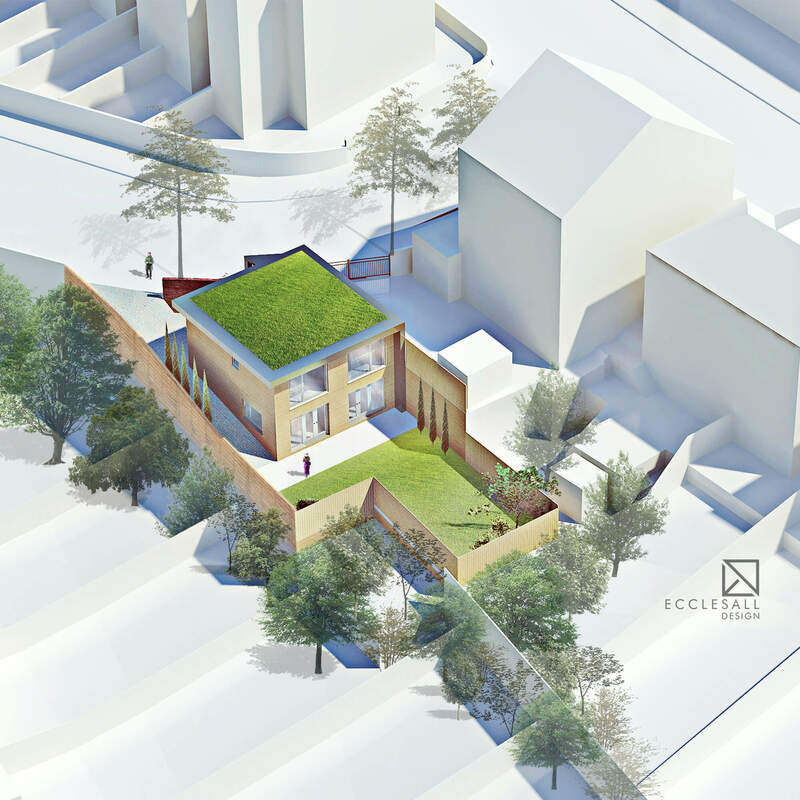 Our team has successfully designed new build houses in conservation areas, infill and backland sites as well as residential gardens. We design new build houses for a range of clients: self-build customers who want to construct a dream home for themselves and their family; smaller investors planning a long-term rental investment property and experienced house builders looking to maximise their return on investment (ROI) with professional and efficient land use. Our experience covers property development projects too. An estate development we designed recently for 13 luxury 4- and 5-bedroomed executive detached houses is currently under construction, due to complete in early 2020, with virtually every house sold off plan within less than a month of being on the market. Read more about Developer Services. Once the site is evaluated we will give advice regarding the other professionals whose input will be required, such as a topographical surveyor, a tree expert or drainage engineer. We negotiate with planning on your behalf and establish the principal of development on contentious sites by agreeing creative solutions. Our designs aim at all times to contribute positively to the local character. We encourage clients to consider sustainable materials and technologies to make your house more eco-friendly. Let us design your ideal house especially for you. Change in the economic climate or individual circumstances can require buildings to be converted from commercial use to residential units. It is possible to convert various shops, offices, light industrial and agricultural units to C3 (residential dwelling) without full planning permission although prior approval has to be granted by the local planning authority. It is only the change of use that is permitted, not the conversion itself – if the external appearance alters in any way, you could still require planning permission. Our aim at Ecclesall Design would always be to preserve original buildings rather than replace them with lookalike substitutes or well-intended copies. We believe, in certain circumstances, that ‘old is good’ because new development often destroys the authentic character. Workshops and old farm buildings converted into residential buildings deserve inspirational solutions in order to create beautiful new living spaces. Some characteristics of a building’s history are assets to preserve even though the use is changing; the conversion process needs to be thoughtfully undertaken to attain challenging building regulation standards. Transforming existing structures can be more sustainable and eco-friendlier than creating new buildings from scratch using all modern materials and processes. Every old building is different and needs its own unique approach; we’re ready to work with you to provide the ideal solution. Ecclesall Design’s approachable team will be happy to propose some ideas to help you with whatever architectural service you require. We provide creative designs for shops, showrooms, schools, residential homes, offices, factories, warehouses, restaurants, cafes, pubs, clubs and other industrial and commercial premises as well as accurate scaled floor plans for licencing and insurance purposes. Our project management services have been used to successfully kick-start stalled construction projects although more usually, and ideally, we would be involved from the beginning so everything runs smoothly from the start. Our hands-on experience in construction site management enables us to communicate effectively and knowledgeably with contractors, other professionals, site managers and site workers to get everyone pulling together for the good of the finished project. Successful architectural designs for commercial properties need to balance the needs of a profit-making business with the potential restrictions of its surroundings and we provide thoughtful and creative ideas that take into account both aspects. Shop front properties, for example, need visual appeal to be attractive and welcoming to customers whilst at the same time maintaining aesthetic consideration for the general street scene and neighbouring properties. To read more about how we can help you with your commercial property, please visit our Commercial Architecture page. Proposed work that materially changes the outward appearance of property needs planning permission unless it is permitted development. The following projects may well require planning permission due to their impact on the external appearance of the property: canopies, walls, widened driveways, lightwells, signs, high fences. 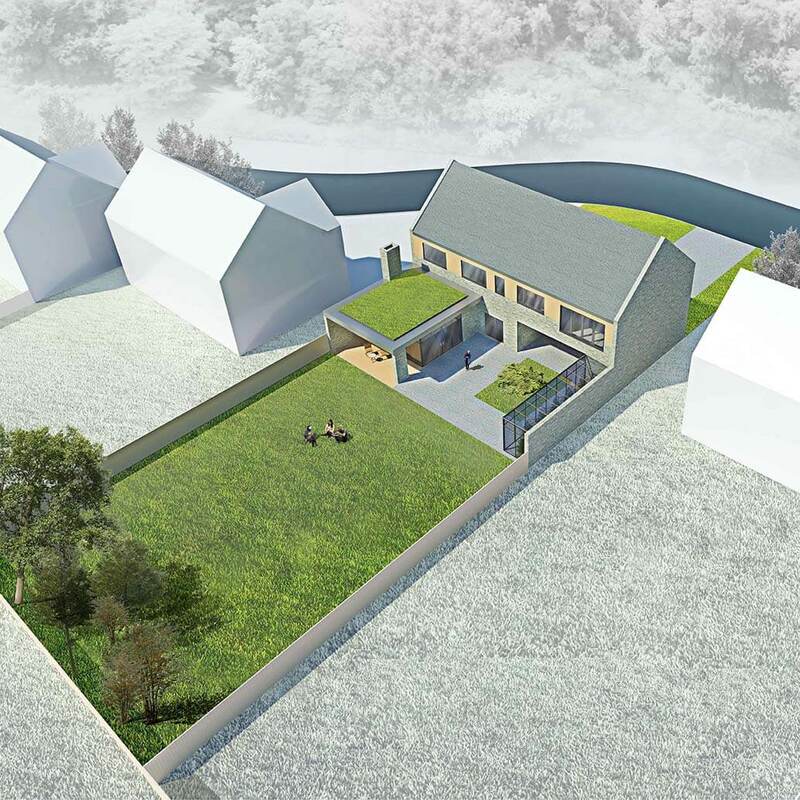 Although the project might seem minimal, if it is not permitted development and is going to alter the external appearance of the property, it is probable that elevation drawings will be needed as well as floor plans due to the requirement to show the local planning authority the existing and proposed situation. We manage your project and take it through the Planning system on your behalf as part of our architectural service package. Once the architectural design drawings are finalised and any required planning permission granted, it is time to move onto providing technical section drawings and material/process specifications to meet current building regulations. These, along with the structural engineer’s calculations, will be passed to Building Control for checking and approval. Building regulation details and technical section drawings are provided as a follow up to our architectural design package. We also provide building regulation drawings and details as a stand-alone service. The project management service we offer would take over at this point. Our project management service encompasses drawing up a full tender document with our client to include internal materials such as wall and floor coverings, assisting with obtaining quotations from builders and providing site visits to monitor progress as well as including advice about interior design and furniture/light fittings to create the desired atmosphere. Commercial project management is provided on a job-by-job basis. Particularly when different contractors are involved such as, for example, groundworkers and steel erectors, we pull everyone together and provide a cohesive approach to get the job done on time and to budget. We hope you’ve found this page interesting and that it gives a good feel for the range of services and support we offer. Please do get in touch – we’d welcome the opportunity to discuss your project and provide a quotation for our architectural services.